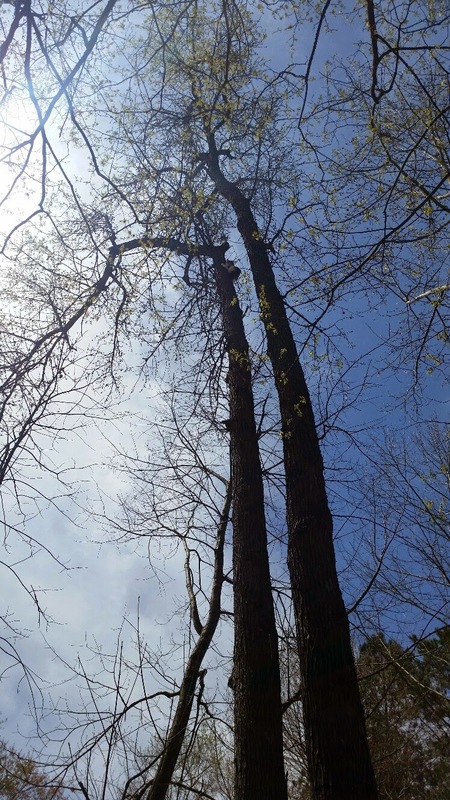 Easter Sunday I got a call from an out-of-state son saying his mother needed help getting a small pig out of a tree not far from where I live. Intrigued to the say the least, I quickly called the number he left for his mom, Marta. I learned that while Marta was out for a walk with her pot-bellied pig, Sugar, and 10-month old kitten, Cassie, a neighbor’s dog broke through an electric fence and came barreling toward the group. Sugar, the pig who was on leash, stood her ground undaunted, but Cassie got spooked and ran up a tree to get away from the menacing dog. (The excitement and confusion of the story, and the equally beloved status of both family pets, was apparently what led to the son’s misunderstanding about which pet was stuck in the tree.) Normally I encourage people to give their cat a day or two to make it’s own way down a tree, but in this case Cassie was far from home and the menacing dog was just one yard away from the tree she had climbed. 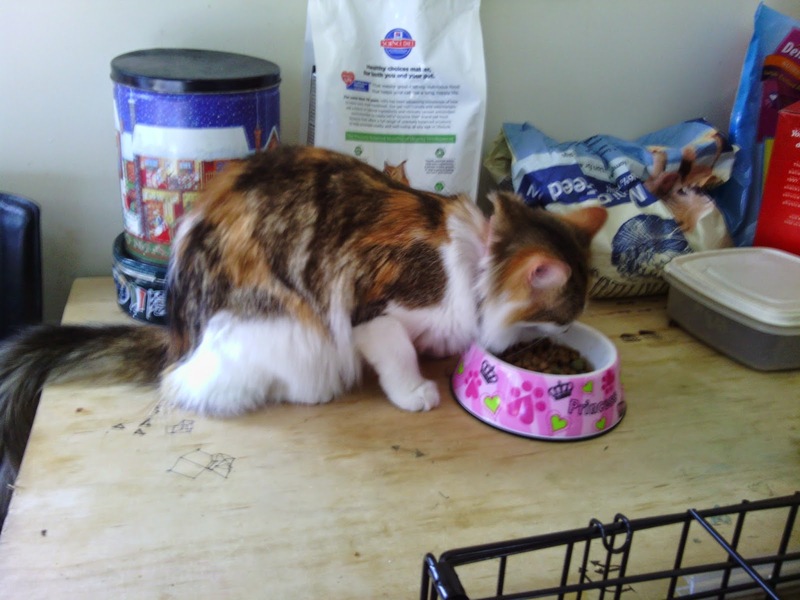 So the next morning I came out to lend my efforts to reunite Kitten Cassie with Mom Marta and Pig Sugar. After meeting Marta and Sugar at their home, we drove to the tree where Cassie was stuck. Cassie was eager to see me and stayed put as I got close. In short she was a model rescuee! As you can see in the rescue video, Cassie was so relieved to be against my chest that she kept resisting my efforts to reposition her in my lap so that I could get her into the rescue bag for her controlled ride back to ground. 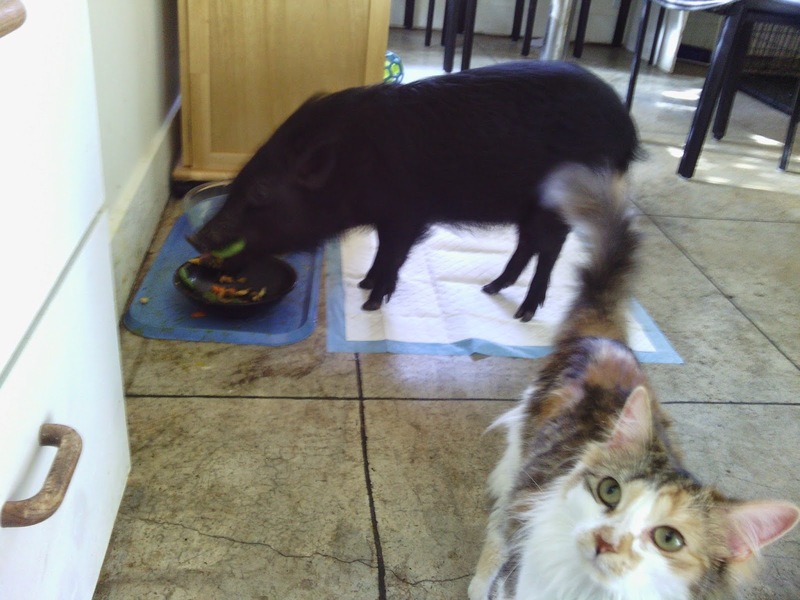 Once reunited back at home, Cassie and Sugar seemed to share the details of their separation in a way that only pig and kitten can. After their brief reunion, Marta prepared breakfast for both which seemed to erase all trauma of the previous days’ experience.